London, UK. 20th November 2018. 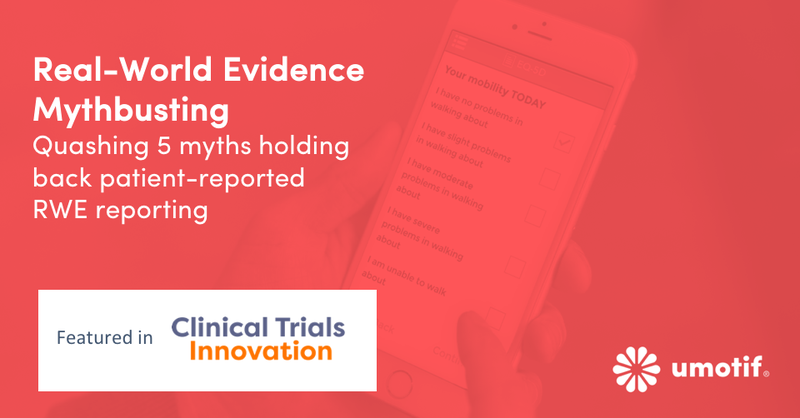 The adoption of digital patient-reported real-world evidence has been slowed by a number of factors. From patient and healthcare professional (HCP) acceptance, engagement, readiness and compliance, to overall technology availability. But the world has changed since these technologies were first introduced and many of these factors are now just perceptions to be challenged. uMotif CEO Bruce Hellman takes five common myths, and busts them one by one.